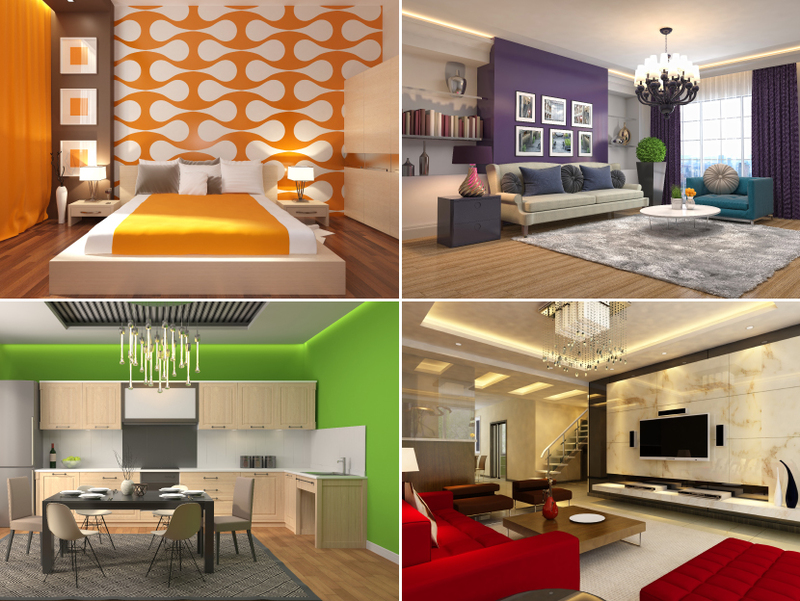 Bedroom is considered as one of the most important rooms of the house. After all, this is the place you relax after a hectic day of work. 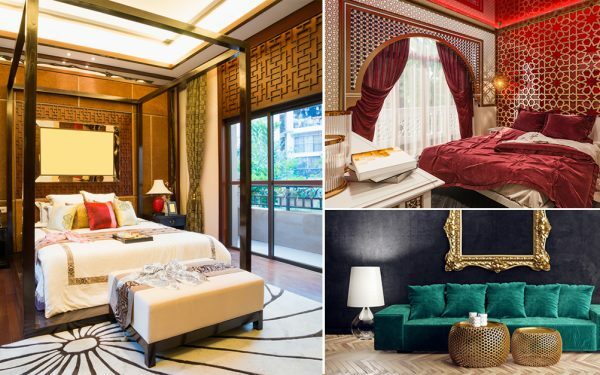 Hence, your private unwinding sanctuary should reflect your style and personality. 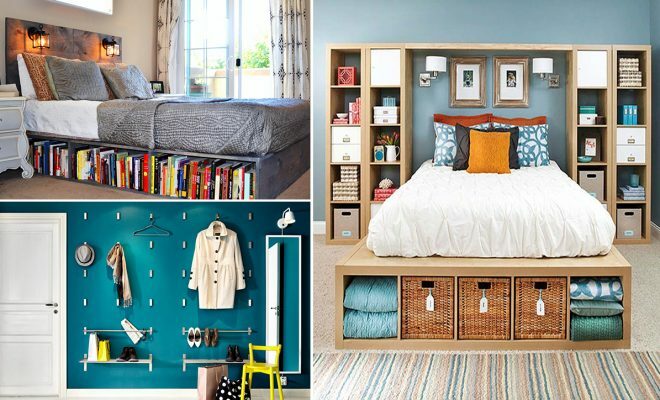 And what better way to upgrade your bedroom than making some style-worthy DIY projects! 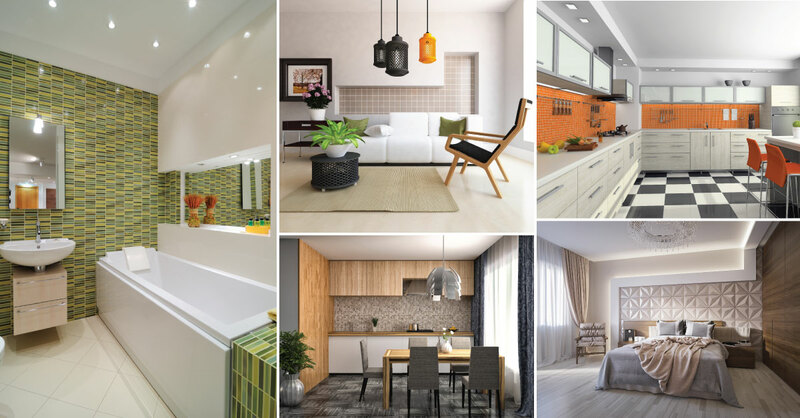 If you have a thing for modern and trendy decor, then this DIY project is for you. 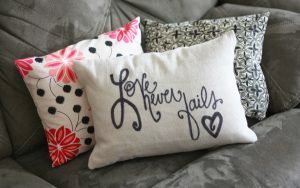 Simply, spruce up your pillow covers with some of your favorite inspirational quotes. All you need to do for this project: Print your favorite quote on a regular paper. Now, place it in the center of the pillowcase and trace the word using a Sharpie and color it! 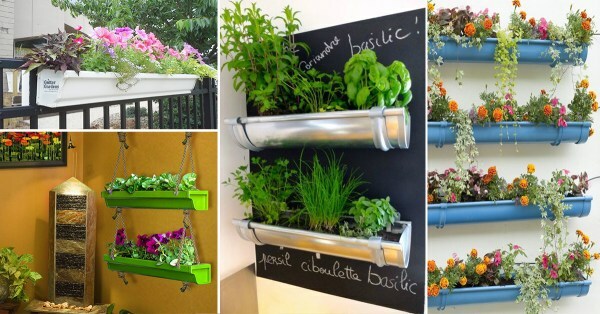 Another gorgeous yet super easy way to transform your bedroom: Deck up your home with beautiful potted plants. 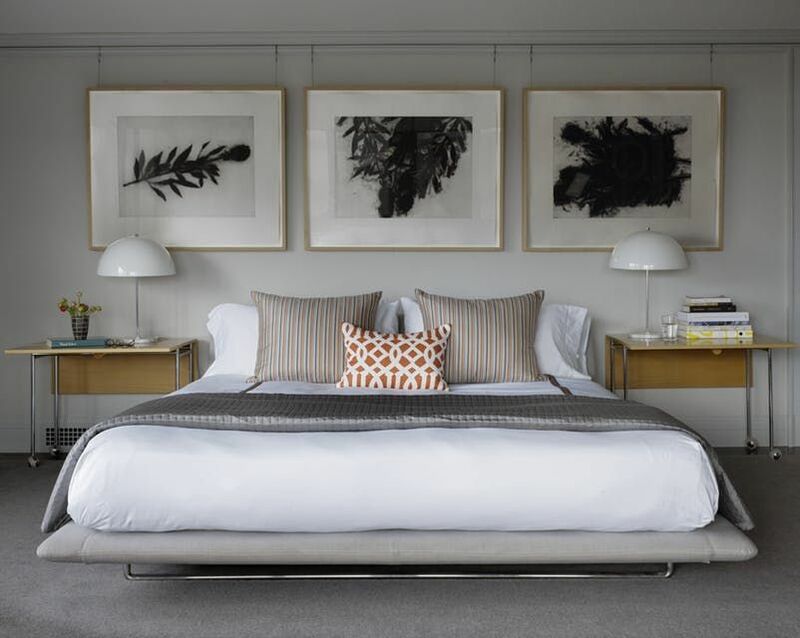 However, while choosing, ensure you pick an indoor plant, suitable for your bedroom. 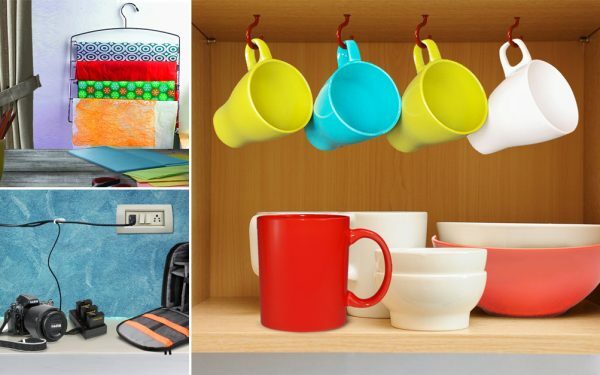 At times, all you need is to make a tiny change to transform an old piece of furniture into a modish one! 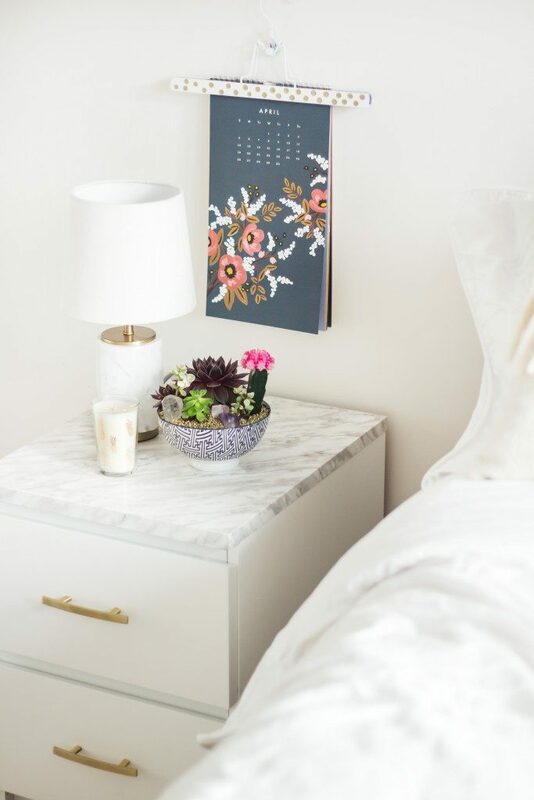 In the above picture, the DIYer has used a marble self-adhesive paper to transform a nightstand into a piece of art! Change the hardware to complete the look. 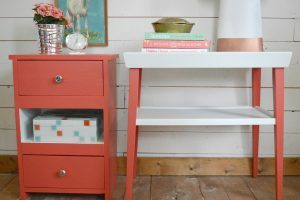 Quickly transform thrift-store furniture into stunning ones with just paint! 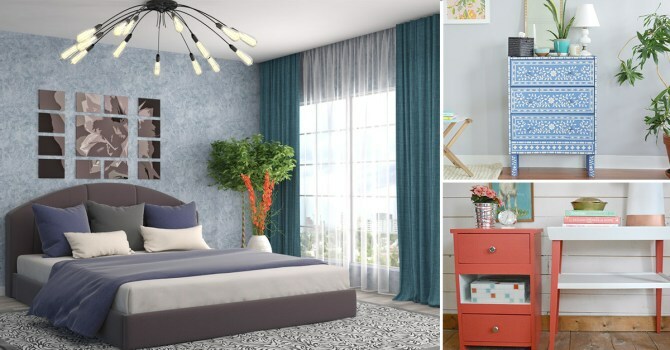 For instance, in the above picture, the designer has updated a mid-century modern side table into a stunning piece of art by just painting it! Bedroom wall art is often all about family pictures. However, a little bit of change goes a long way! 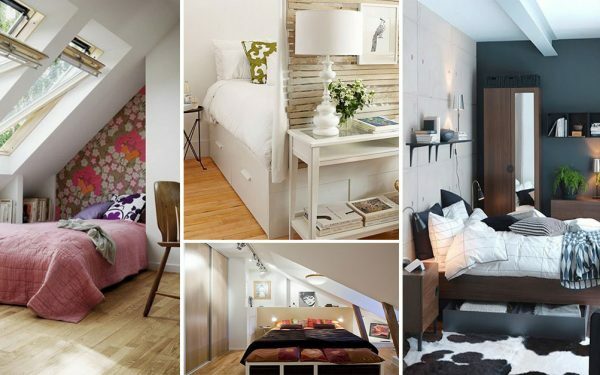 So, skip the sentimental wall art, and let your bedroom stand out with some artistic piece. You can also frame a map of your favorite destination. 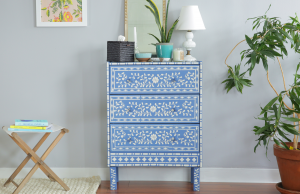 This gorgeous stenciled dresser is a must-have for any bedroom! 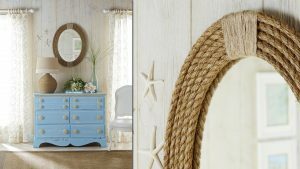 For instance, in the above picture, the designer has used a stencil and white stencil paint to transform an old dresser into a stunning one. Another easy way to fuse style in your bedroom: Change the frame of an old mirror into something you love to spice up your bedroom. The frame will completely transform the mirror into something new. Create a stunning statement piece for your bedroom by making this amazing sunburst mirror. 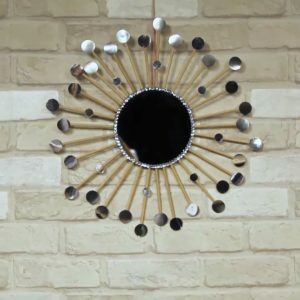 All you need for this is a round-shaped mirror and cardboard, skewers or wooden dowels, a brass craft ring or hook, glue, and primer. To make this: Start by tracing the outline of the mirror on the cardboard, and cut it out with the help of scissors. Now, start attaching the skewers around the cut-out of the cardboard to form a sun-like shape. Now, attach the mirror with the help of glue.